A diverse range of top-of-the line products from leading industry brands. Knowledgeable staff and excellent customer service for all your needs. Experts in industrial, institutional, commercial and residential markets. Over 45 years of industry knowledge and experience. Ability to process Special Orders for difficult to find products. Monthly product promos and specials sent right to your email! Nation-wide service. Looking for top quality security? HALSCO offers its line of safes. Exclusive to Serrubec, these safes are products you want to invest in! With our diverse selection of high-end product, HALSCO Safes are guaranteed to give you peace of mind. Check out what we have to offer! With winter only a couple of weeks away, getting weatherproof products may be the ideal items to stock up on! 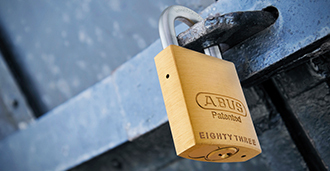 ABUS Weatherized padlocks are available in a variety of sizes suitable for several applications. These padlocks are the perfect solution to ensure damage-free from extreme winter weather and corrosion. We are excited to share our newly redesgined website! Our new Serrubec website is now desktop and mobile friendly, allowing ease of access and usability to all visitors! 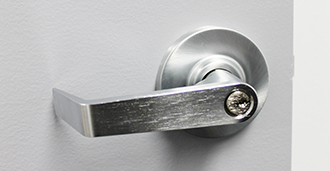 Shanahan's is a Western Canadian based supplier of division 8 and division 10 products, including hollow metal doors, lockers, toilet partitions and more! An exclusive brand to Serrubec, HALSCO products include door closers, exit devices, dead bolts, hinges, chains, safes and much more! Serrubec has been serving the Canadian market since 1970. With a rich and proud history built upon quality products and customer service within the security and door hardware industry, the business is continuously growing by offering new and innovative technologies and solutions. Serrubec Inc. is a distribution channel division of Shanahan's Limited Partnership. Established in 1928, Shanahan's is a Western Canadian based supplier of division 8 and division 10 products serving the commercial, institutional, industrial and multi-family residential construction and building industry. Shanahan's employs more than 500 employees and operates 11 branches in Western Canada. It also has two state-of-the-art manufacturing plants in Calgary.